Staying young and looking good is a goal for many. However, there is no stopping Father Time. Showing signs of aging over the years is inevitable. Fortunately, cosmetic treatments that help reverse these signs are now readily accessible. At Dr Celia Mendes, we provide various aesthetic services, including injectable facial filler procedures. Let our experienced cosmetic doctor restore your vibrant look with dermal fillers in Fayetteville, North Carolina. If you are looking for a professional who is knowledgeable and experienced in facial fillers in Fayetteville, North Carolina, turn to Dr. Celia Mendes. She is certified in the administration of Juvéderm® and Juvéderm® Voluma XC gel fillers in Fayetteville, North Carolina. Age, wind, sunlight, and pollutants may cause you to lose hyaluronic acid (HA) in your skin. When there is loss of HA in the skin, it loses its structure, resulting in wrinkles and creases. Luckily, these can be treated using Juvéderm® gel fillers in Fayetteville, North Carolina. Juvéderm® gel fillers in Fayetteville, North Carolina are designed to replace the lost HA in the lower layers of your skin. Consequently, these gel fillers in Fayetteville, North Carolina restore the skin’s structure and volume. Dr. Celia Mendes gently injects Juvéderm® into the skin and massages the treated area to distribute the filler evenly. The procedure of injecting the fillers in Fayetteville, North Carolina may take around 15 minutes. Juvéderm Voluma® XC fillers in Fayetteville, North Carolina provide contour and subtle lift that may last for two years. This procedure is the first and only FDA-approved injectable gel filler that instantly adds volume to your cheeks to give you a more youthful appearance. Administering the Juvéderm Voluma® XC fillers in Fayetteville, NC also takes about 15 minutes. Dr. Celia Mendes suggests some restrictions after undergoing a Juvéderm® treatment. Patients are discouraged from having alcoholic drinks, as well as sun exposure and strenuous exercise 24 hours after the procedure for fillers in Fayetteville, North Carolina. Other restrictions may apply, depending on the patient. Results may last for a year. You may have seen some patients who became unrecognizable after undergoing plastic surgery. Probably, you don’t want to look as if something was obviously done to your face. If you want a more natural result, try dermal fillers in Fayetteville, North Carolina. This procedure does not change your facial features; it only makes you look younger by adding volume to your face. For most cases, patients experience fast results for Juvéderm® and Juvéderm Voluma® XC fillers in Fayetteville, North Carolina. 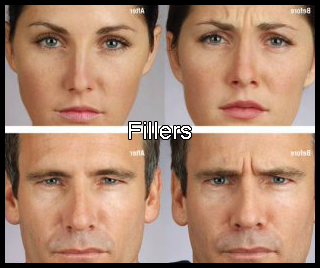 You may see significant improvement in skin volume and smoothness on areas injected with the fillers in Fayetteville, NC. The results may last for 1-2 years. Given its faster results, getting fillers in Fayetteville, NC is ideal especially if you have an upcoming event or function. It gives you a more vibrant look prior to your big day. In contrast, facial surgeries may take weeks before you see the results. Juvéderm® and Juvéderm Voluma® XC fillers in Fayetteville, NC take only a few minutes to be done. Except for some restrictions, patients may go back to their regular activities after the procedure. Considering Getting Fillers? Fayetteville NC Residents Can Call Us! People of all ages have specific conditions that they need to address. Whether it’s a matter of skin care, beauty enhancement, or gynecological care, you need an expert to give you what you need. At Dr Celia Mendes, we offer a wide range of cosmetic and gynecological services. With our help, you can maintain your youthful appearance and receive the medical attention you need. Dr. Celia Mendes began her journey in the medical field in 1991. After earning her degree from the Brown University Program in Medicine, she pursued an internship and residency in Duke University Medical Center. In 1995, she settled down with her husband in Fayetteville, NC. She also began her private practice in the city as a board-certified OB/GYN. In 2001, Dr. Mendes decided to branch out to gynecology. The following year, she managed to make her dream of starting her own medical practice a reality. By this time, she pursued her longtime interest in cosmetic procedures and treatments. After training and receiving certifications for surgical and non-surgical cosmetic procedures, she eventually incorporated these treatments in her medical practice. With her perfectionism and genuine concern for her patients, Dr. Mendes manages to provide excellent results for every procedure she does. She understands what you are going through and can deliver what you need while maintaining a gentle and caring attitude before and after the surgery or treatment. Do you want to lose weight without going under the knife? Then an HCG Diet will work best for you. Human Chorionic Gonadotropin is a hormone produced by the placenta in a pregnant woman. This hormone controls the metabolic function during pregnancy. It also prevents your body from shifting to “starvation mode” and storing unwanted fat. Paired with a strict low-calorie diet, this program can help you lose a significant amount of weight in a short span of time. Do you want to have an ever-youthful appearance? Let our team at Dr Celia Mendes help you out. If you are interested in our services, set an appointment by giving us a call today. Our staff will get back to you as soon as possible. We look forward to hearing from you.